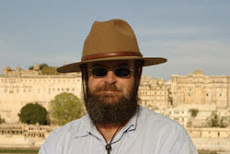 Conservation Sense is a blog devoted to all issues involving the conservation of wildlife. The blog strives to take a common sense 'this is what needs to be done' attitude. Well designed wildlife observation hides (blinds) that are sited in just the right spot can be a great draw to naturalists and wildlife photographers. With care, such hides cause no disturbance to wildlife and can allow wonderfully close observations of fascinating wildlife behaviour that it would not be possible to see in any other way. They can add considerable value to an eco-tourism enterprise. Wildlife photographers in particular are willing to pay significant daily fees for the use of a wildlife hide that promises good and reliable photographic opportunities. Such hides need to be widely advertised in the eco-tourism enterprise’s marketing information. The features of the hide and the target species need to be described. Quality wildlife photographs taken from the hides need to feature in any marketing resources. Photographic hides that enable highly sought-after species to be regularly photographed can quickly become famous and attract wildlife photographers from all over the world. 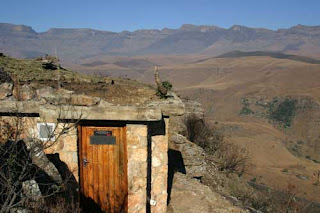 A prime example is the Vulture Hide at Giant’s Castle in KwaZulu Natal, South Africa. This hide, spectacularly situated on the side of a mountain virtually guarantees close encounters with Bearded Vultures, one of the most prized birds in the world of wildlife photography. The success of this hide guarantees a constant stream of wildlife photographers to the Park. Conclusion: Wildlife observation hides/blinds can be a valuable tool in conservation by bringing in much-needed tourist revenue. 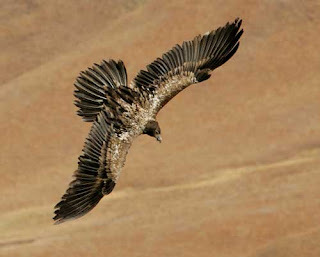 Photos: Vulture Hide, Giant's Castle ; Bearded Vulture.